Why are keyboard keys staggered? What is the motivation behind this design? I would think that a column layout would be easier to type on - and indeed, many ergonomic keyboards seem to go with a column layout, where Q is directly above A and so on. This is largely a case of path dependency. Originally keyboards had to have a staggered layout to fit the mechanical linkages between the keys and the levers. After that, it was what industry was tooled up to make, and what people were used to. And there hasn't been a big enough change to typing to get most people to change over to a matrix (non staggered) layout since. Just like most people still use a qwerty layout even though there are other better layouts around. My guess is that it's a skeumorphic carryover from mechanical typewriters. Note how the rows are shifted differing amounts, they are not all uniformly shifted from the rows above and below by half a key's width. This might have been done to allow all the mechanical levers connected to the keys to have their own plane to move up and down in and not collide with the levers of other keys. Of course keys that aren't in the original typewriter keys set are under no such historical constraints, hence the numeric keypad and such are arranged in a nice grid. There are two separate concerns here: (1) why the keys were shifted originally, and (2) why they remain shifted nowadays. The computer keyboard as we know it today came from mechanical typewriters, because at the time the first computers were developed many people were already trained in typing on those machines, so using the old design helped with marketing and eliminated the need to retrain. At the time computers came to be, typewriters already existed for over 100 years, and they underwent a significant evolution in that time. One thing however remained relatively constant within that evolution: the placement of keys on the keyboard. 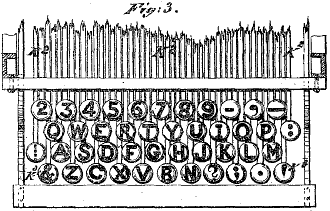 This "QWERTY" keyboard can be traced to the Sholes and Glidden typewriter designed around 1868. (Other typewriters with different designs existed before, but it is the Sholes and Glidden one which became commercially successful.) The notes from the inventors indicate that they designed their keyboard after the piano keyboard (in fact, originally there were two rows of keys only). When the rows are shifted one relative to another, each key in the middle has 6 equidistant neighbors. This means a finger can easily jump from one key to other six. With the rectangular grid, each key would have had only 4 direct neighbors, whereas other 4 neighbors would be roughly 1.4 times further away. In a 10-finger typing method the fingers almost never have to travel more than one key away from their "home" location, which means the triangular grid is more ergonomic. On the other hand, we see that on mobile devices and tablets the "virtual keyboard" uses a rectangular grid (well, at least on those devices that I own). This is because nobody uses a 10-finger typing method on a smartphone, and hence rectangular keyboard becomes slightly more preferred. Why are keyboard rows staggered the way they are now? Why are radio buttons circles? Why are the keys on a keyboard square? Why aren't keyboards' home and top rows aligned nicely? Why do keyboard keys have (most) letters in top left corner? Why do some keyboards extend the Return key up into the backslash? Why are computer keyboard keys printed in Uppercase? What are the proper keys for navigating multi-column “search as you type” results? Best way to display 3 different keyboards in a single flow even if the input is variable in each screen? 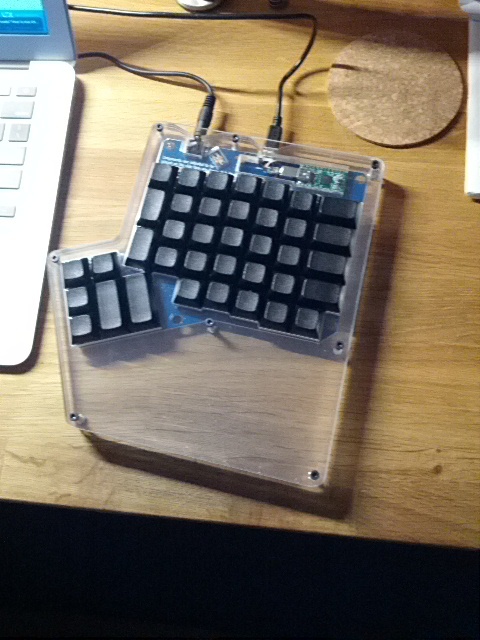 Why are keyboard numpads on the right-hand side?